After months and months of endless speculations, rumors, leaks, fake leaks, etc. 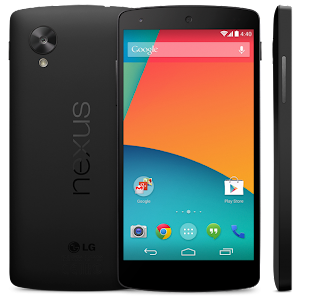 we now have a conclusion to the torrents of leaks as the LG made Nexus 5 is finally official. With the ridiculous amount of leaks and rumors the official specs of the Nexus 5 are exactly on point with the specs running rampant on the rumor mills. Specs are exactly as listed by the Wind Mobile Page. Also if you're only reading this now, you're out of luck as the Nexus 5's literally flew off the shelves and was sold out just less than 30 mins after the page opened up. More on Android 4.4 later.